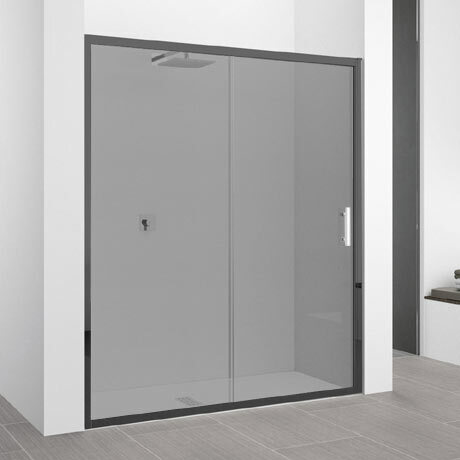 The impressive and sleek Zephyros 2P Sliding Shower Door adds a touch of luxury to your showering experience. It features a 6mm toughened glass sliding door and fixed panel in Smoked Glass, 60mm adjustment for easy fitting and a beautiful Black finished frame. Comes with a 2 year guarantee and Crystal Clear treatment that reduces bacteria and scale growth.